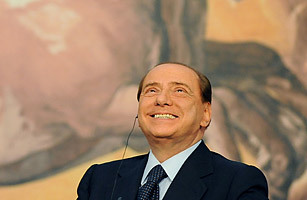 Berlusconi is one of the most controversial of the European heads of state. The former businessman and media magnate has been in the top job on three separate occasions since 1994 and was ranked 51 on Forbes's 2010 Rich List, with an estimated fortune of $11.8 billion. He is currently the longest serving leader of any G8 country and his political career has rarely been without scandal. Accusations have ranged to dealings with the Mafia, to Islamophobia, to liaisons with under aged girls. Yet core chunks of the Italian public are still on his side, prompting Berlusconi to declare last year, "People want me the way I am. Italians want me."